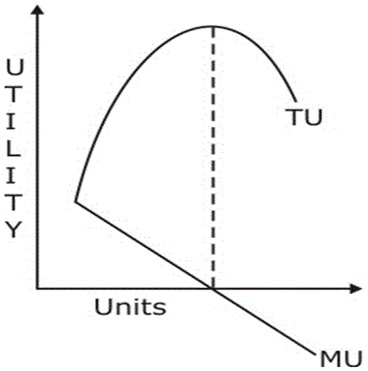 Marginal Utility is the increase in total utility of consumption of good which results from increasing the quantity of the goods consumed by one unit. In other words, the marginal utility of a good or service is the gain from an increase, or loss from a decrease, in the consumption of that good or service. It is an important economic concept because economists use it to determine how much of an item a consumer will buy. Positive marginal utility is when the consumption of an additional item increases the total utility.